I haven’t been posting on my blog in a while for one simple reason: I’m incredibly happy. I’ve been so caught up in the day to day activities while living in Tamarindo, and I’ve been so content to live in the present moment that I haven’t even thought about writing much. I’ve been slacking on contacting people back home, I haven’t been reading the news at all, I’ve barely even been overanalyzing my future, which is unlike me. There is no specific reason for my slight isolation from society; I haven’t consciously decided to drift into this sort of trance where my biggest worry is intruder ants in my tent. But living at Dreamsea Surf Camp has completely changed my perspective on life and released me from the minute daily concerns that I used to have at home. As I continuously throw away clothes because of fast-growing mold, I realize my possessions are slowly losing their significance. As I spend day after day at the same beach, I am starting to fall into a routine where I only focus on the present and enjoy the little things in life. I’m also surprisingly content doing nothing. As a Dreamsea volunteer, I am responsible for posting to the Facebook page and writing articles for the website, but that workload is manageable and I find myself with heaps of free time. Back home, I am constantly working and attempting to plan my future, but it’s liberating to wake up here with little to no responsibilities, free to do anything I want. I can easily fall victim to overworking myself, and I’ve never felt more grateful for this lazy lifestyle. 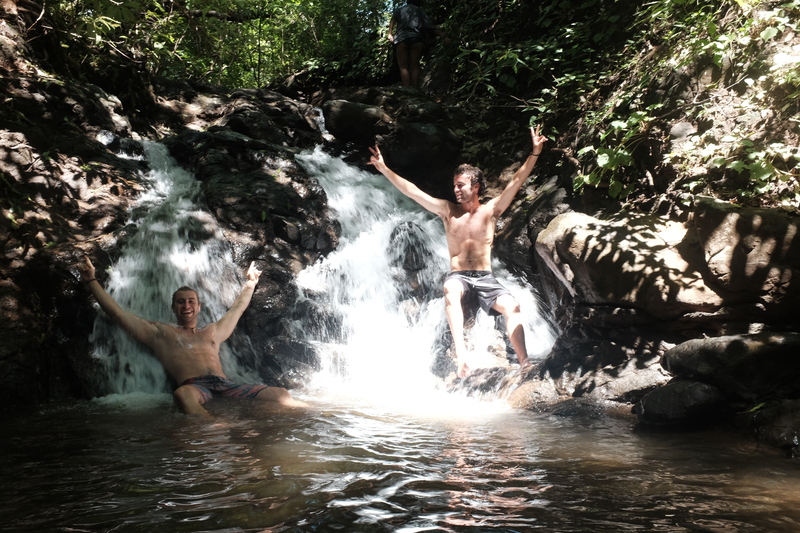 When I’m not hanging around at camp or in Tamarindo, I’ve been going on excursions and surf trips to different places in the area. One excursion brought us to Llanes de Cortes, a powerful waterfall where we swam in the cool water, hiked through the forest, and did yoga in the pouring rain. A small group of us also visited Playa Negra, where I spent the morning picking up trash off the beach and watching in awe as the experienced surfers rode massive waves. Another day at Playa Avellanas I not only practiced my surfing, I also tried surf photography while borrowing my friend’s camera and had the best time. In addition to these excursions, I’ve been enjoying casual nights at the bar in camp jamming to music, smoking hookah, salsa dancing and hula hooping. There is truly not a dull moment at Dreamsea, and even those hours wasted away doing nothing are enjoyable. But the aspect of my life here that has impacted me the most is the friendships I’ve been forming. 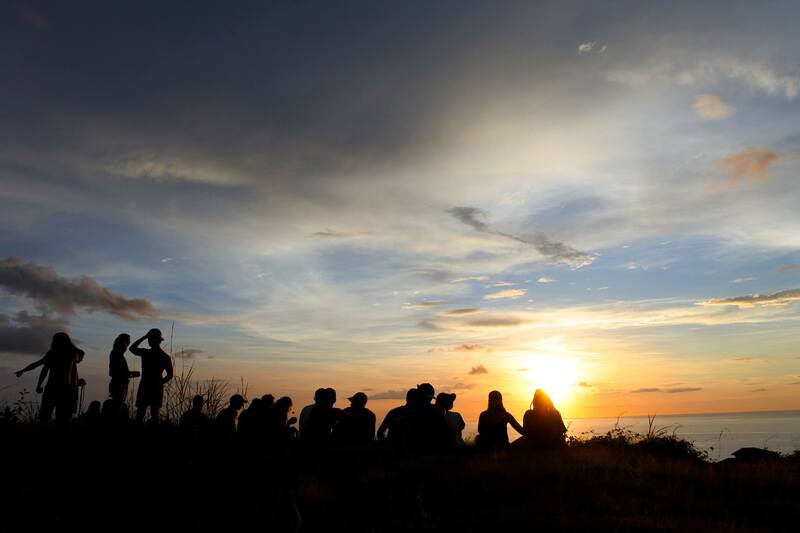 This place unites interesting people from all over the world and forces us to spend every minute of the day together, whether we’re eating, surfing, wandering around town, having campfires, meditating, or napping on the beach, in our tents, or in hammocks. Every day when we drive between the camp and the beach, we cram as many people as possible into a rickety old pick up truck, sandwiching ourselves between each other and losing all sense of personal space. We constantly exchange stories, knowledge, advice, and insights. We share the same joys, like being first in line for dinner or watching an unbelievable sunset or having good wifi at the camp for once. We also share the same grievances, like dealing with brutal bug bites, sunburns, torrential downpour, and hangovers. As someone who loves my alone time, I’m still shocked by how comfortable I feel being around people all the time. I’m suddenly taking less and less time for myself and choosing to be around my favorite people here more and more. My solitary runs on the beach or walks with my ipod are becoming less frequent as I happily accept the company of others instead. I even like working out with people at camp or on the beach, though at home I always prefer to work out alone. At Dreamsea, we find ourselves bonding with people before we even realize it’s happening. One minute, you’re struggling to adjust to life in the jungle and the next minute, you’re best friends with all these incredible people and you never want to leave. All the concern I had for things like finding a real job or figuring out my life’s purpose seem so insignificant when I’m living in a beautiful place filled with love and compassion. It’s like some indescribable force just draws us all together regardless of our lifestyles before we came to Dreamsea. Three of my favorite people have the left the camp in the last weeks and I’ve cried every time. It’s sad to grow so close to people and then suddenly find yourself wondering if you’ll ever see them again. But despite this, I can’t help but feel blessed to meet such wonderful souls in such a unique setting, and I know I will always remember the precious moments I’ve shared with people at Dreamsea. And with so much life ahead of me, I will absolutely make the effort to reunite with some of these friends if the opportunity presents itself. Living the good life,enjoy every minute! !